The new feather-light facial oil strengthens, hydrates and shields for all-day dewy skin! 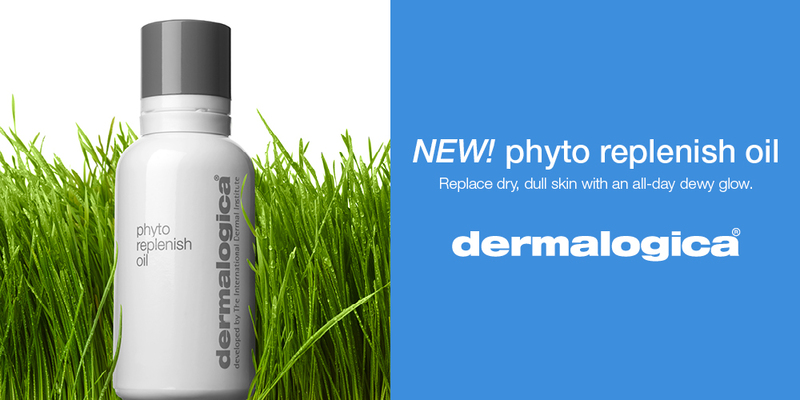 It might not take a village to achieve healthy, glowing skin but Dermalogica® has assembled an army of ingredients in the new Phyto Replenish Oil. This feather-light facial oil strengthens and restores the skin’s natural protective barrier, shields against environmental stressors, smooths visible lines, and locks in critical moisture for all-day dewy skin. Comprised of plant-based active ingredients, Phyto Replenish Oil can be used daily to restore depleted lipids and deliver a healthy, luminous glow. Lipids, the natural protective oils that help preserve the skin’s protective barrier and maintain a youthful appearance, diminish with age leading to dehydration, sensitisation and wrinkles. Environment, diet, stress and even over-exfoliation can lead to lipid depletion over time, further contributing to a dull, lackluster appearance. Young adult skin can restore its natural barrier lipids in about three days whereas recovery time in older adults may take over a week – so taking proactive measures to restore lipids is critical to maintaining optimal skin health and appearance. Camellia Japonica – often called the “rose of winter” and derived from a small flowering tree native to Korea and Japan, this antioxidant oil helps strengthen the skin barrier and provides wrinkle-reducing benefits such as stimulating collagen and inhibiting MMPs. Tamanu Oil – extracted from the Ati Tree (a.k.a. “the tree of one thousand virtues”) native to the South Pacific Islands. The phytoactives in this oil are potent antioxidants that inhibit the breakdown of lipid-rich cell membranes from free radicals. Chia Seed Oil – provides antioxidant protection and a concentrated delivery of fatty acids that helps hydrate while soothing dry, itchy skin. Orchid Flower extract – repairs, protects and locks in moisture while helping to balance the skin’s Natural Moisturising Factor (NMF). Sunflower Seed Oil – a rich source of tocopherols (Vitamin E) which are yellow carotenoids that provide excellent antioxidant properties, key to preserving the skin’s protective barrier and defending against free radical damage. For all-day dewy skin, cleanse and then press four to six drops of the Phyto Reeplenish Oil into skin and follow with your Dermalogica® moisturiser; or alternatively, mix in with your Dermalogica® moisturiser. Phyto Replenish Oil can also be mixed with an SPF for daily sun protection or primer for the perfect makeup-up base. It’s ideal for normal-to-dry skin conditions.